Credits: Edmonton Journal Richard Feehan (Alberta Minister of Indigenous Relations) and Tarra Wright Many Chief (Executive Director, Indigenous Tourism Alberta) announced an initiative to increase Indigenous tourism in Alberta on Tuesday December 11, 2018 at the River Cree Resort and Casino in Edmonton. Credits: wpgchamber The legalization of cannabis opened doors to significant economic opportunity for our Indigenous communities – just one step in our journey to reconciliation. 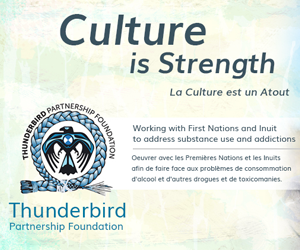 Learn more about how First Nations communities will play a large role in the Canadian cannabis industry.